Refers to a collection of parallel routes serving several common destinations. If the route spacing was such that patrons could walk to one or the other within the same amount of time and distance then relatively speaking these routes can be considered duplicative services. Route Duplication occurs when two or more bus routes operate on the same alignment by one or more carriers in a transit corridor. 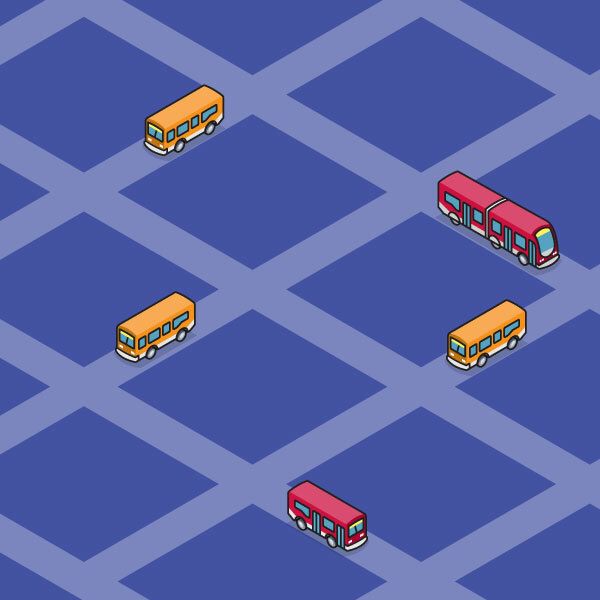 While service duplication should be minimized, exceptions apply, such as Metro Rapid bus corridors that support an underlying local route, on approaches to business districts, major terminals, and transit centers, or if serving key destinations along a corridor from several directions. Refers to the level of service provided. Frequency is driven by the amount of time separation between scheduled trips, otherwise known as the headway. Service frequencies are dictated by ridership demand and should be set in such a manner that it provides sufficient capacity to adequately meet this demand and ensure a reasonable and attractive level of service is provided throughout the day. There are instances when the frequency in a corridor is so frequent that operating a high-capacity bus makes more sense operationally on-street and is more efficient in their use. Is that all local service should operate 60 minutes or better and that Metro Rapid service should operate at least every 20 minutes between the hours of 6:00 a.m. and 6:00 p.m.
Makes significantly fewer stops than local service, and the key design objective is to operate at a minimum of 10% faster than local service. Limited service will be considered in corridors where the demands require a 10-minute headway or less on the local line prior to implementation of a limited-stop service. Is the average ratio of passengers to seats commonly measured over a one-hour period. The load ratio determines what the proper scheduled headway should be. Metro’s Load Factor Policy is 1.30, which is significantly lower than industry peer agencies. Also called “route spacing,” refers to the average distance between two or more parallel bus routes. It is generally accepted that patrons are willing to tolerate walking no more than a quarter mile to a bus stop. In general bus routes operating parallel to one another in an urban area should be spaced a half-mile apart from one another and bus routes operating parallel to rail should be spaced a half-mile apart on either side of a rail route. Bus routes operating parallel in a suburban area should be spaced no more than one-mile apart from one another; and bus routes operating in low density or underdeveloped areas should be operated where needed in such a way that it is cost-effective. When possible, alternative delivery methods should be considered. Should be direct for network simplicity and to maximize average speed and minimize travel time. In general there should be no more than 2 branches per trunk-line routes. Also referred to as “out of direction movement,” is when a route is realigned to operate in close proximity of a new activity center such as a rail station or transit center. Route deviation should only be considered if the diversion time in one direction is 5 minutes or less, and there is a net travel time benefit for riders who are connecting or traveling through. Should be as short as possible to reduce a vehicle’s exposure to events that may delay service (e.g. accidents, road construction, or poor weather conditions) and to maintain scheduled travel times to maximize on-time performance. Refers to the hours that service is available on a given day and defines the minimum period of time that service should operate at any point in the system. This provides customers with the confidence that direct and connecting service will be provided. General span of service guidelines by service type are identified below. Existing ridership and productivity levels. Span of service on connecting and alternative services with expanded service. Hours of operation of major job sites or activity centers along the alignment. Transfers occur when passengers change from one transit unit to another (bus or rail), which occur at a common stop location such as an intersection, station, or transit center. Metro’s goal is that transfers should be seamless minimizing wait times as much as is possible. Metro accomplishes this through time transfers and positive transfers. Timed Transfers are when wait times are built into the schedule of a route to provide convenient connections between two routes for passengers who wish to transfer at a common stop location. In these instances it is preferable that wait times be built into the schedule of a low frequency route with headways greater than 20-minutes and owl routes that operate every 30 minutes or greater. Positive Transfers are when one route is scheduled to arrive 2-5 minutes before or after another route at a common stop location to enhance connections and reduce wait times for passengers who wish to transfer such as connections between rail and bus. In addition to timed and positive transfers Metro will work with other municipal transit operators to better coordinate services and schedules to minimize transfer impacts.